Following the trail and finding the clues on a Spotty Dog Trail is a sure fire way of getting children out for some exercise and fun for a few hours. There are several trails to choose from, in a variety of interesting locations around Cornwall. Today our quest took us to the North Helford village of Mawnan Smith, close to Falmouth. 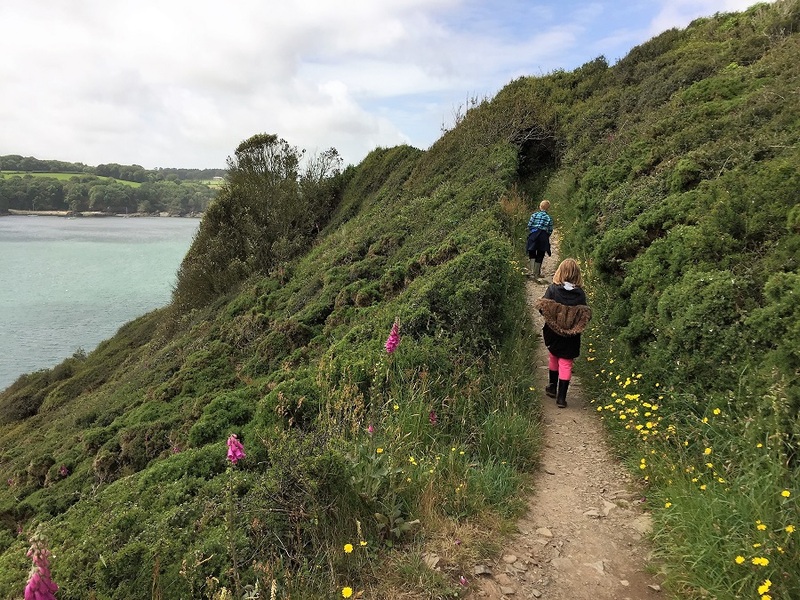 This is a short but scenic walk, with lovely views along Helford Passage and out to sea, plus plenty of opportunities for playing, swimming or picnicking on Porthallow or Porth Saxon beaches. 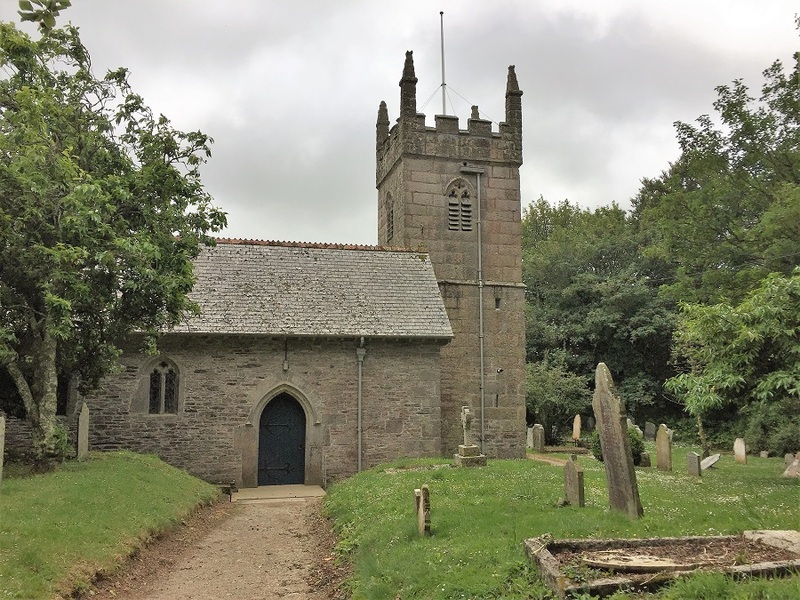 The walk begins at Old Mawnan Church, just outside the village on the road to Maenporth. 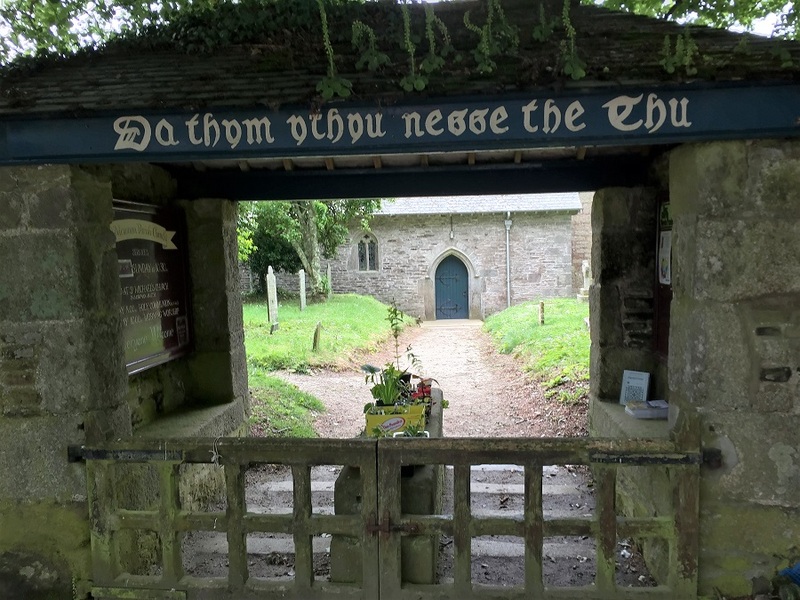 It is a beautiful old church, dating from the 13th century, with a lovely little lych gate complete with coffin rest and a Latin inscription which translates as ‘It is good for me to draw nigh unto God’. We took the footpath to the right of the churchyard heading down through some ancient trees clinging to the slopes of the seaward end of Helford Passage. The path soon emerges into open farmland alongside the beautiful Trerose house with stunning views across the Helford, across to Gillan and out to sea. The hedgerows were bursting with wildflowers and a delight to behold. It is always busy with sailing and fishing boats here so no problem to spot the maritime clues! 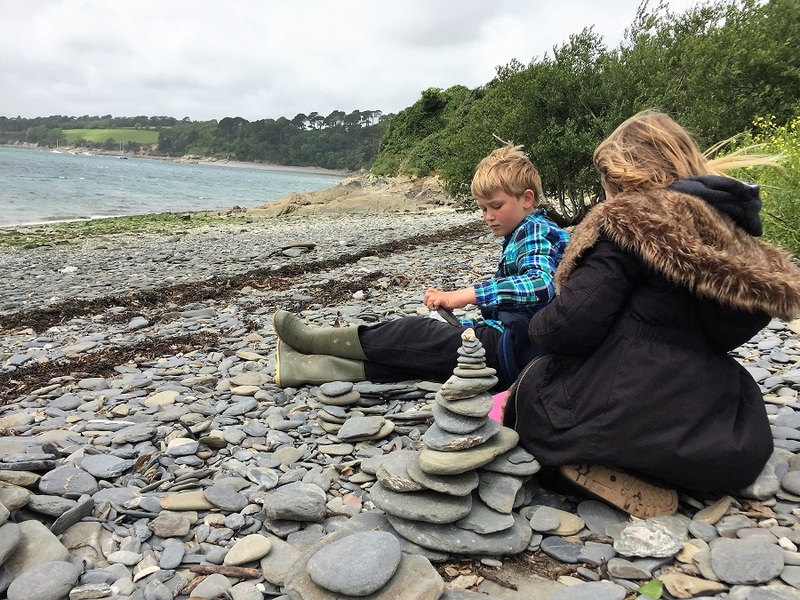 We carried on down to Porthallow beach and built a pebble cairn easily with the lovely abundant beach pebbles. I did a two-minute beach clean whilst the children were busy. It’s an easy thing to do if you take a bag with you and helps to rid the beach of the scourge of plastic deposits becoming a problem with marine life all over the world. 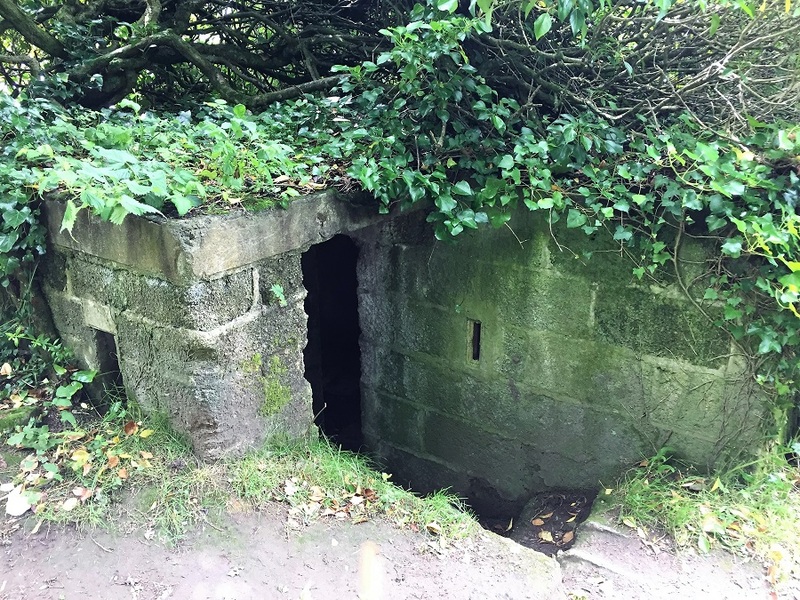 We carried on to Porth Saxon beach and turned for home, popping into the old wartime bunker for a chat about their purpose and imaging how cold and boring it must have been for people on night watch! Back at Porthallow, we did a spot of rock pooling, searching for snake lock anemones to tick off on our sheet. Mission accomplished, we headed back up the footpath by the stream, past a herd of cattle and back to the car. This is a delightful spot to find and it is easily possible to carry on past Durgan to Helford Passage from Porth Saxon beach for a drink or a meal at the Ferryboat Inn (about 45 minutes more each way). We stopped back in Mawnan Smith for a light bite at the Cornish Maid cafe. The Red Lion Inn in the village centre also offers a wide variety of good food. Mawnan Smith is approximately 50 minutes’ drive from Bosinver. Postcode for sat navs: TR11 5HY. Spotty Dog Trails are a fun way to explore Cornwall’s beautiful scenery and historic towns with children of all ages. 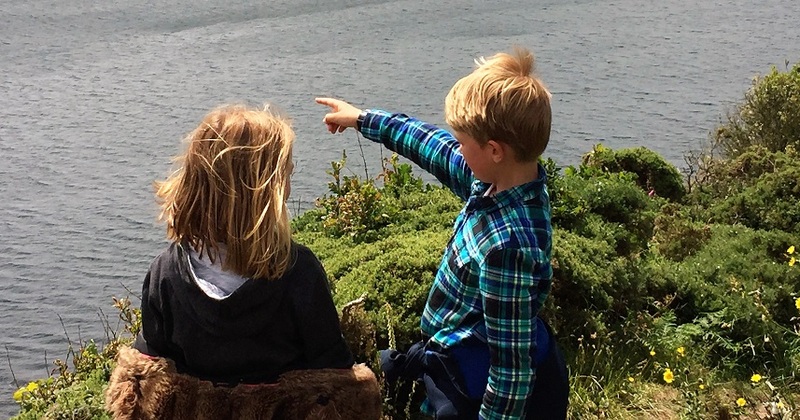 From collecting ‘treasure’ to seeking out hidden delights and spotting unusual features, the trails offer a great starting point for family days out in Cornwall. They’re suitable for all ages, and easy to follow. There are several to choose from, including St Ives, Penzance and Falmouth. All the Spotty Dog Trails are available to buy online, priced at £9.95. 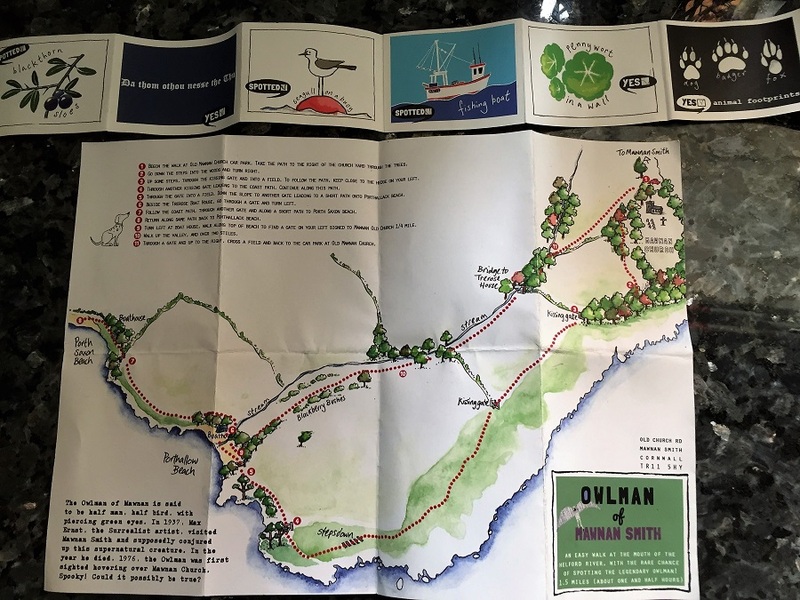 Every trail pack contains everything you need for a family adventure in Cornwall: a map and directions for the walk, a mini booklet of 15 things to spot or do on that walk, a wooden dog badge, natural cotton bag for collecting, two scorecards and a pencil. Have you got a great suggestion for a fun family day out in Cornwall? Leave a message below, tweet @Bosinver or post on our Facebook page. We’d love to hear your recommendations!